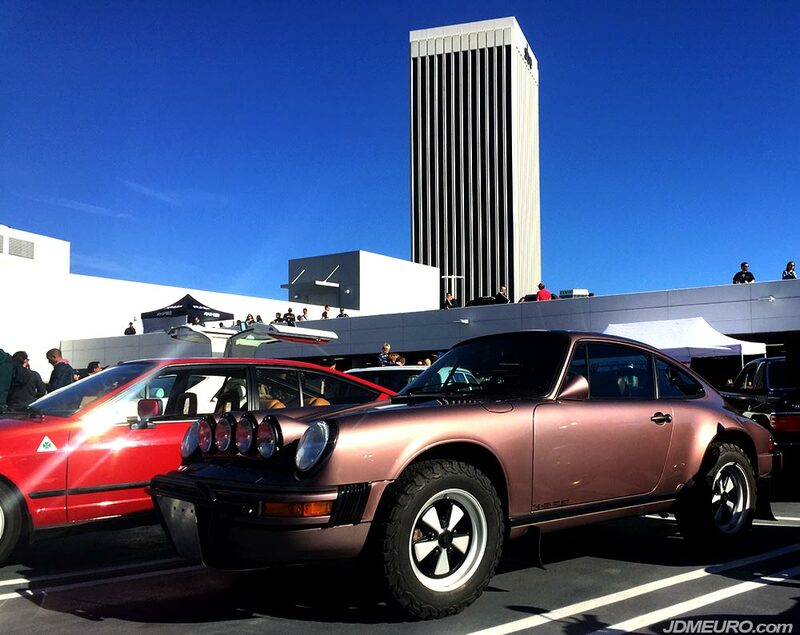 This Keen Project Safari Porsche 911 Carrera 3.2 belongs to Matt Farah of The Smoking Tire fame and was built by Leh Keen of The Keen Project. 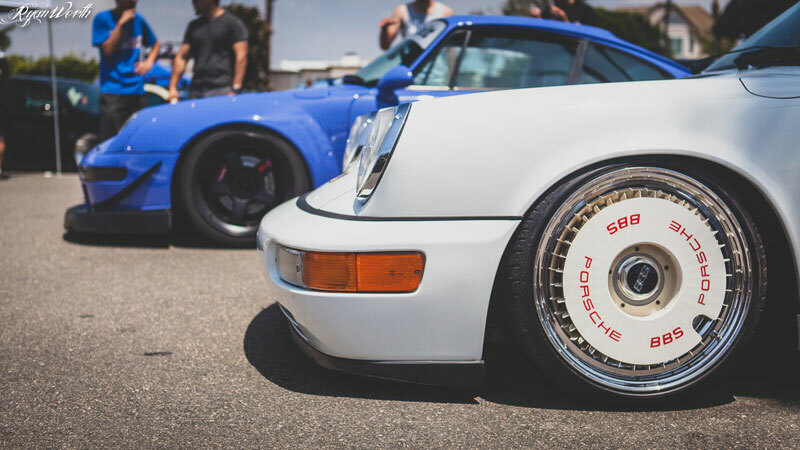 – Safari Porsche 911 at Radwood 2018 at Petersen Automotive Museum in Los Angeles, California. 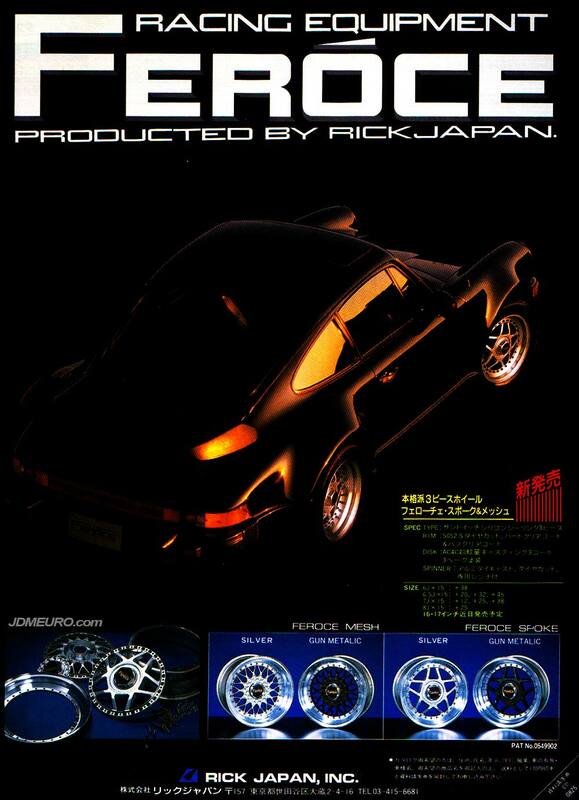 The Feroce Mesh and Feroce Spoke are less popular wheels by Rick Japan; which more notably produced the August Feroce. 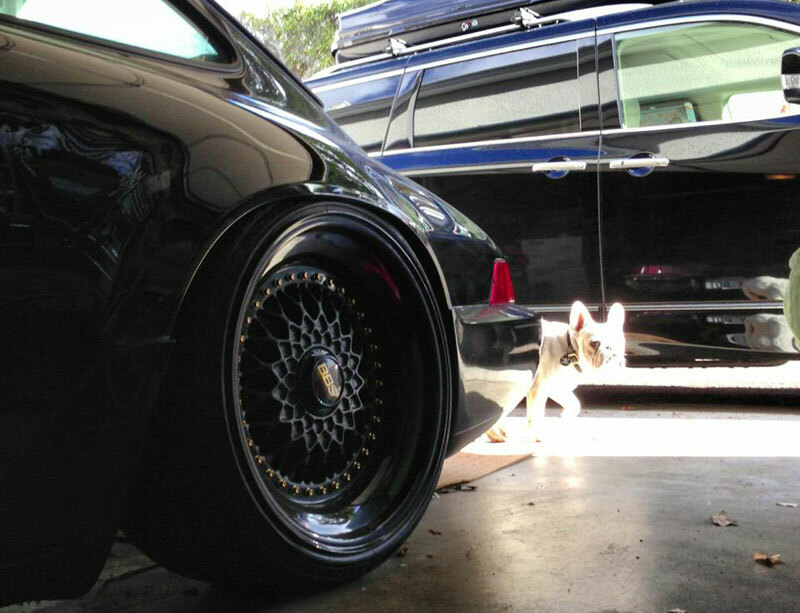 The Rick Japan Feroce Mesh JDM Wheels have the classic BBS RS style mesh style with center lock center cap and sandwich mount construction with exposed bolts. 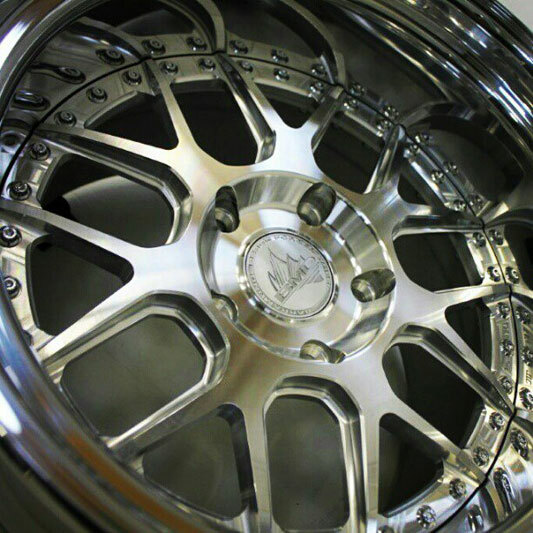 The Rick Japan Feroce Spoke JDM Wheels have the same contruction and features, but with a spilt spoke 5 star styling; ort of like a bigger and updated version of the 4 spoke August Feroce. 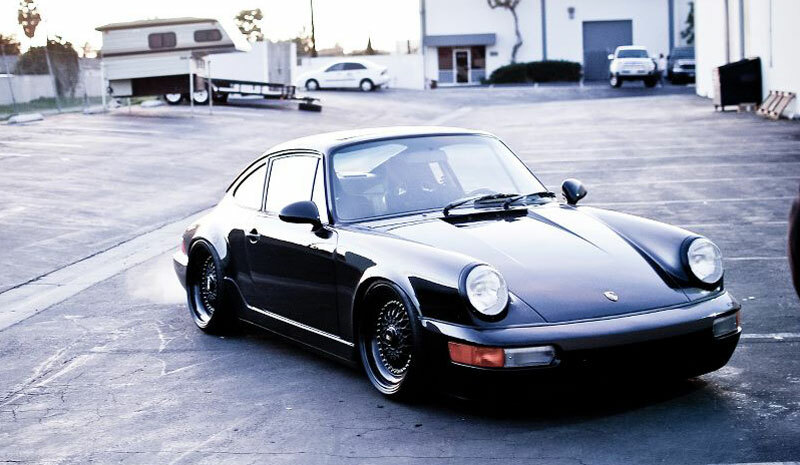 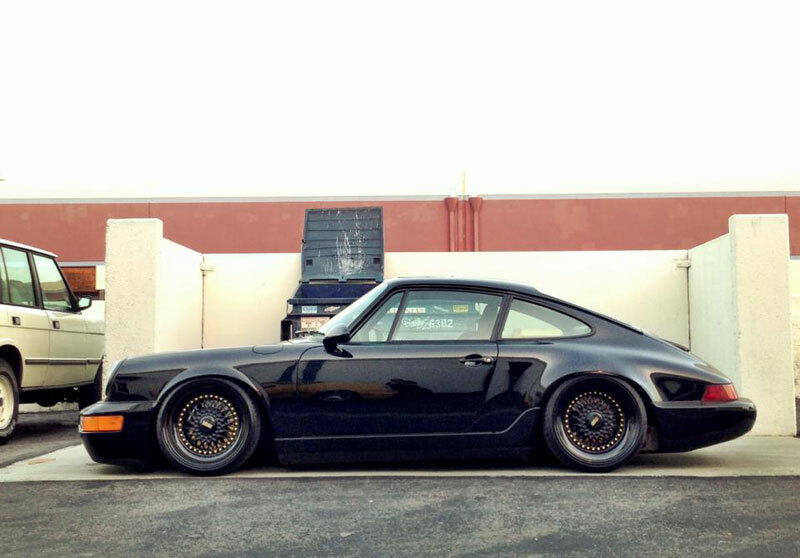 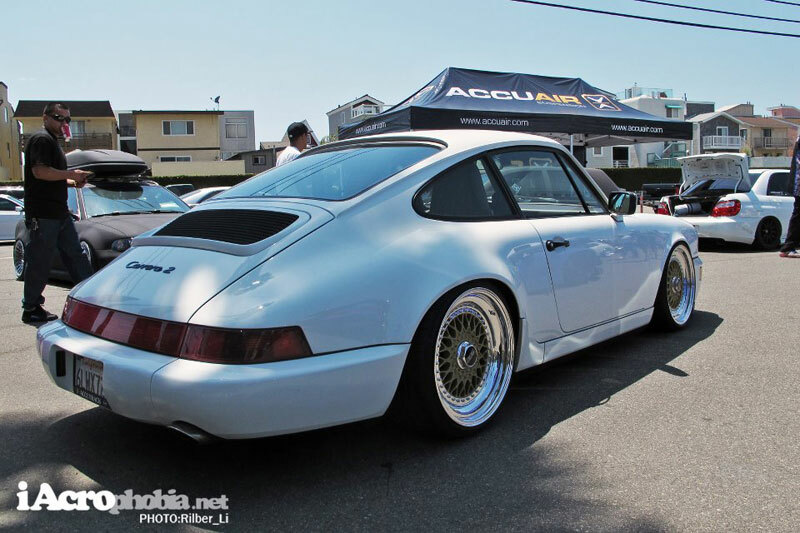 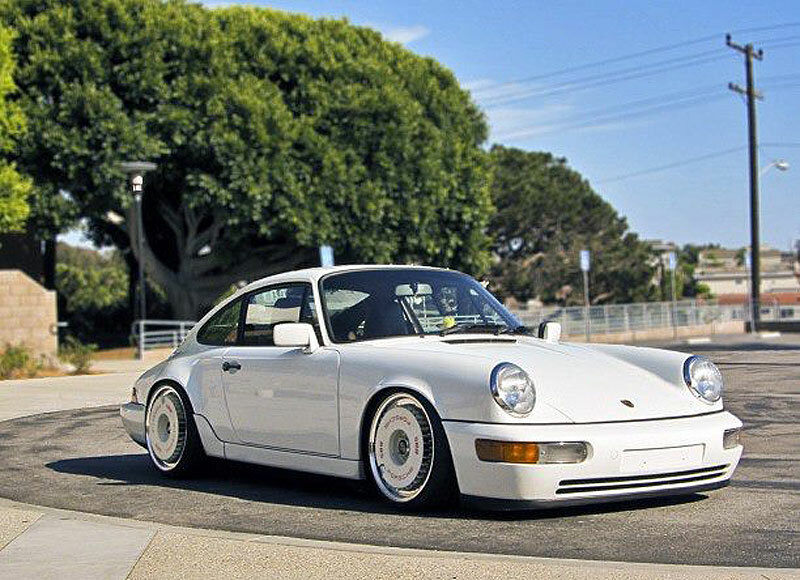 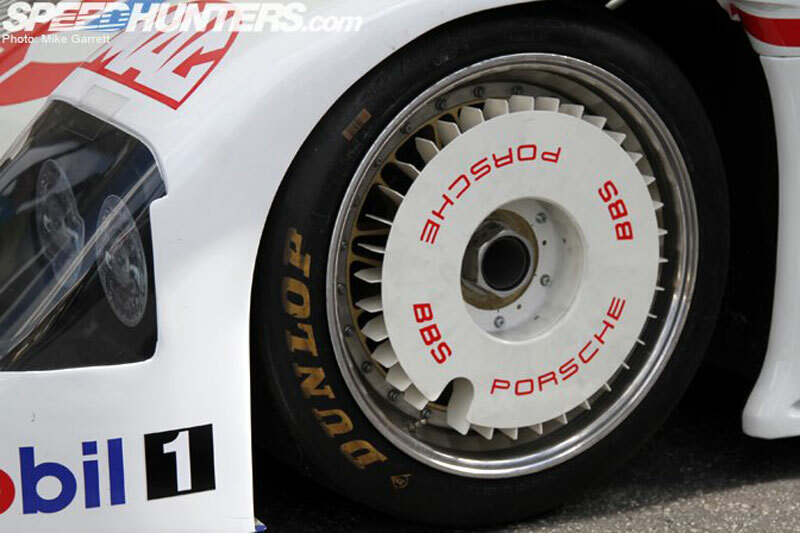 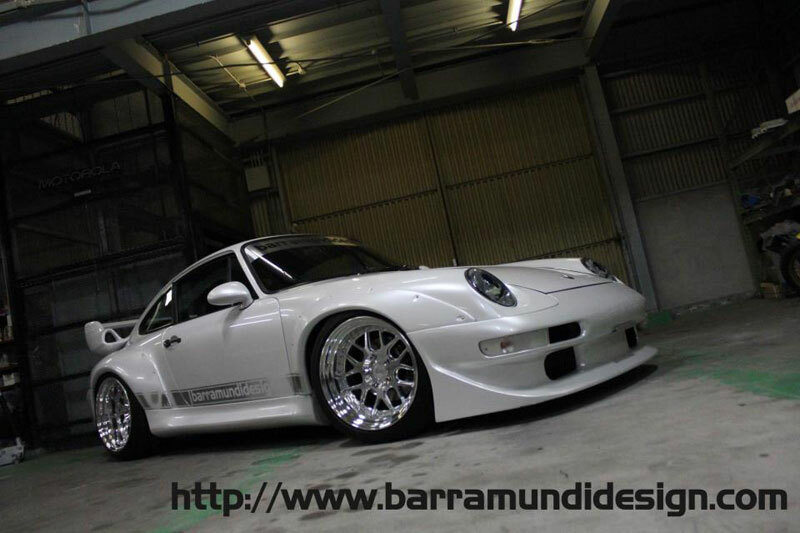 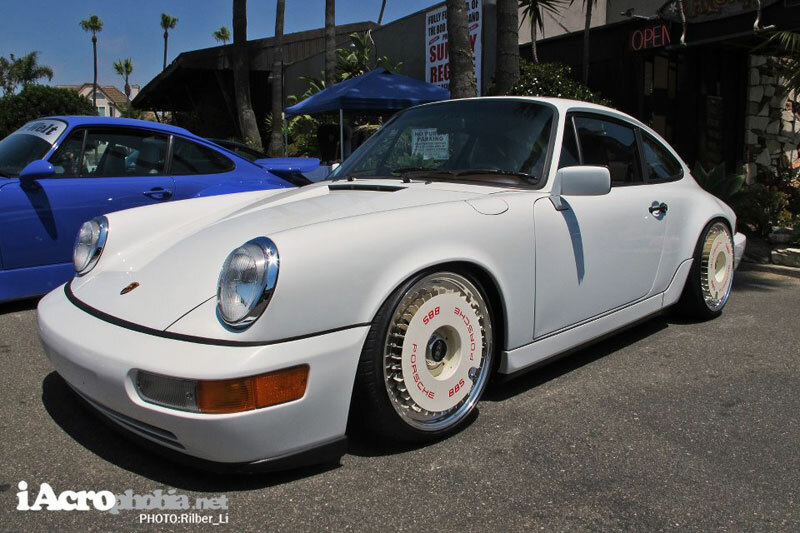 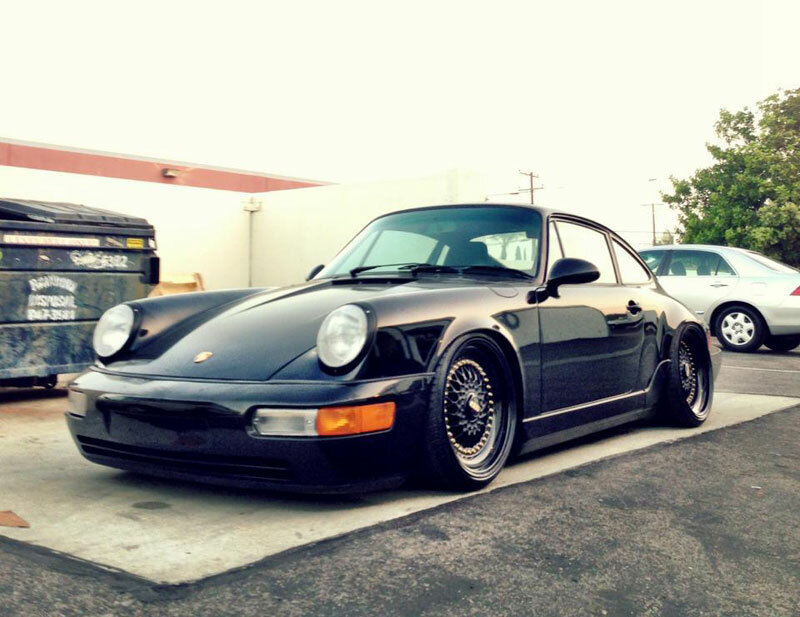 As pictured, both wheels feature real 3 piece contruction; and also pictured are the Rick Japan Feroce Spoke mounted on a 964 series Porsche 911. 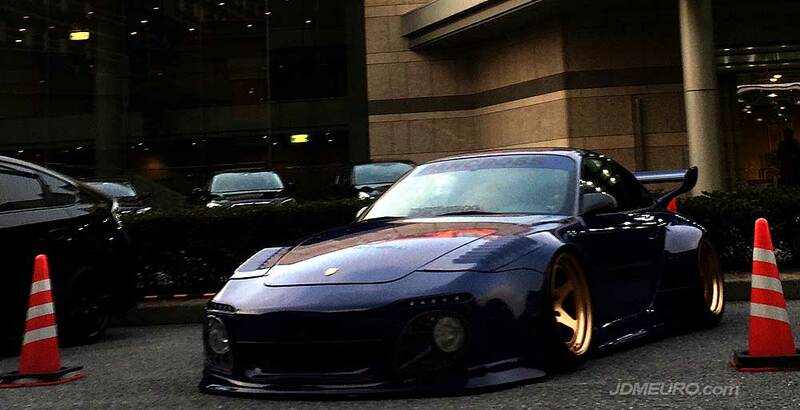 This Porsche 911 Widebody sitting on Rotiform ROC Forged Wheels was spotted sitting across from the 2018 Tokyo Auto Salon. 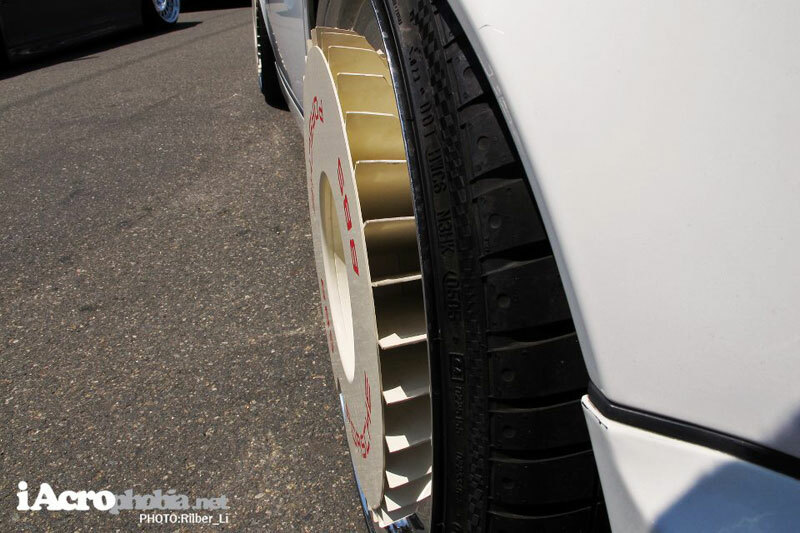 The color contrast of the deep gold wheels on the deep blue paint stands out really nice. 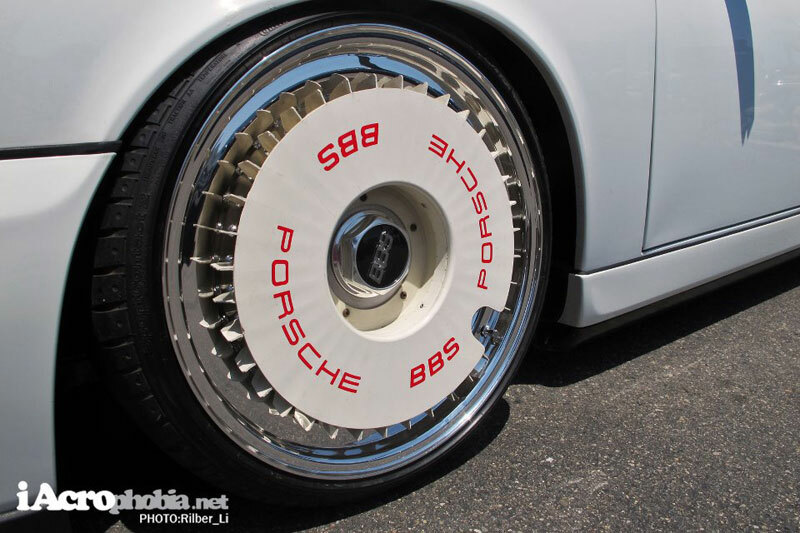 The wheels on this 997 Porsche 911 look to be a set of Rotiform ROC 3 Piece Forged Wheels configured with Concave Faces and Hidden Hardware. 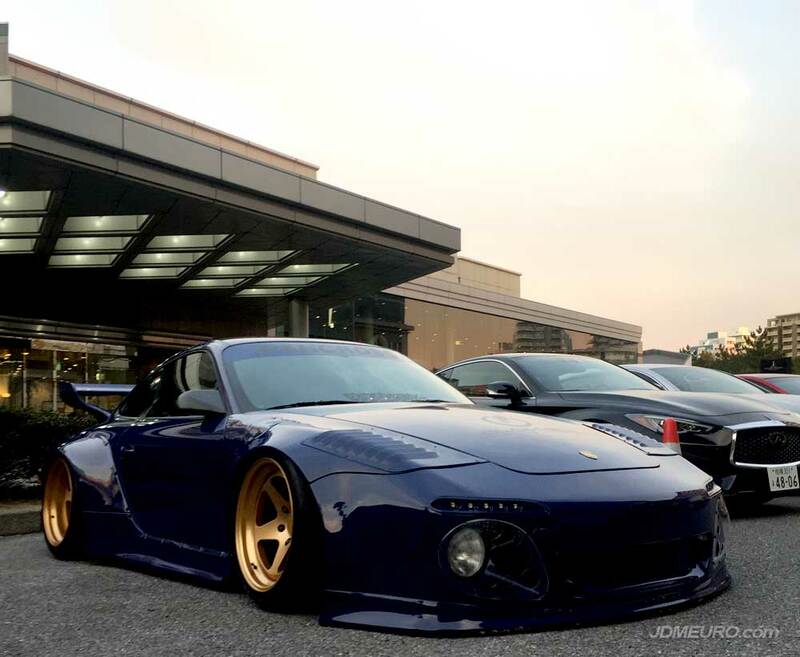 The 997 Porsche 911 is aired out and slammed on the ground. 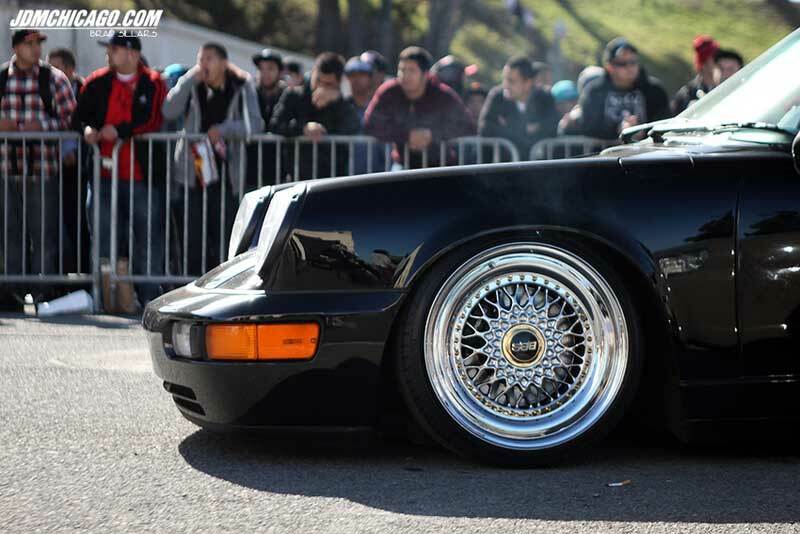 A nice shot of the Deep Rear Rotiform ROC Piece Forged Wheels. 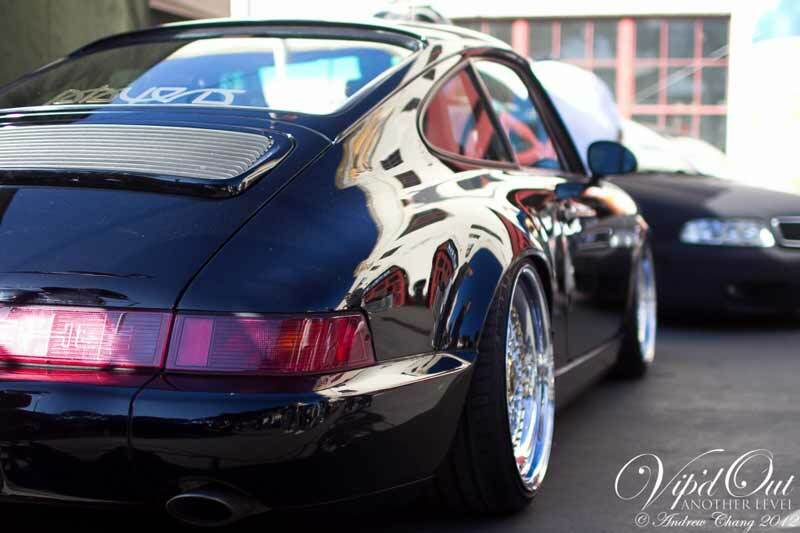 Side shot of the 997, the car is so long it was hard to get the whole tail in the picture.